On Saturday at 8 p.m. renowned sopranos Nancy Argenta and Ingrid Attrot return to Nelson’s Capitol Theatre with pianist Maggie Cole. Sopranos Nancy Argenta (above) and Ingrid Attrot (below) perform at the Capitol Theatre on Saturday. On Saturday at 8 p.m. internationally renowned sopranos Nancy Argenta and Ingrid Attrot return to Nelson’s Capitol Theatre with acclaimed pianist Maggie Cole for a concert of songs and arias, solos and duets spanning three centuries of great music. 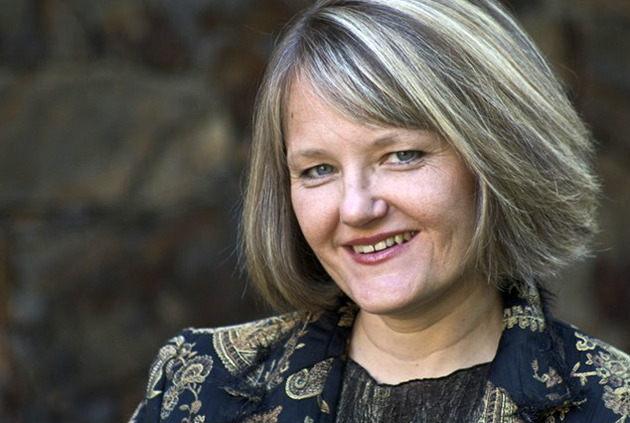 Nancy Argenta enchants audiences around the world. In opera, concert and recital she has appeared at many leading festivals including Salzburg, Mostly Mozart, Aix-en-Provence and the BBC Proms. She has sung with the Boston Symphony, the Philharmonia Orchestra, the Leipzig Gewandhaus, the City of Birmingham Symphony and the Toronto, Montreal and Sydney Symphony orchestras in addition to many period-instrument ensembles such as the English Baroque Soloists, Tafelmusik, English Concert and the Academy of Ancient Music. A native of the Kootenays, Argenta is now on faculty at the Victoria Conservatory of Music, is a visiting faculty member at the University of Toronto, and serves as voice consultant for the Calgary Opera Emerging Artists program. Hailed as “a singer with uncommon theatrical sensibility and musical intelligence,” Attrot has appeared with major orchestras and opera companies in Europe and North America. Among her signature roles are DonnaAnna (Don Giovanni), Ellen Orford (Peter Grimes), and both the Governess and Miss Jessel in Britten’s Turn of theScrew. She has performed with the London Symphony Orchestra, the City of Birmingham Symphony Orchestra,the Montreal Symphony, and the Los Angeles Chamber Orchestra. Attrot has appeared at many major festivals including the Salzburg Festival, Warsaw Autumn Festival, theHolland Festival in Amsterdam and the BBC Proms. Recitals include the Concertgebauw (Amsterdam), Le Monnaie (Brussels), Royal Opera House (London), and at the Wigmore Hall (London). Attrot is currently the head of the voice department at the Victoria Conservatory of Music. American-born Maggie Cole enjoys an international musical life playing and recording on harpsichord,fortepiano and modern piano. An English resident, she is best known through numerous recitals on BBC Radio 3and appearances at leading British festivals. Cole is professor of fortepiano at Guildhall School of Music and Drama and teaches early keyboards at Dartington International School. Students attending schools participating in the Nelson Overture Concerts Society School Outreach Program are granted free admission. These are Blewett Elementary, Trafalgar, St. Joseph’s School, Waldorf School, L.V.Rogers, Ecole des Sentiers-alpins, South Nelson, Wildflower and Hume.